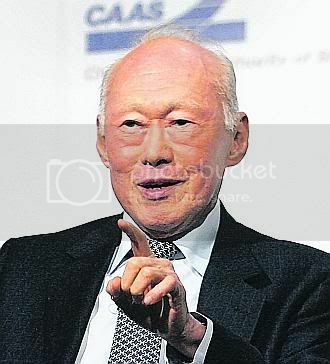 Transcript of Minister Mentor Lee Kuan Yew’s interview with Mark Jacobson from National Geographic on 6 July 2009. Mr Lee: “No, I think the spurs are not stuck on your hinds. They are part of the herd, why-go-faster? But when you’re lagging behind, you must go faster to catch up with the herd. I’m quite sure that there are children of the migrants who strive arduously. When they grow up in the same schools as the Singaporeans, the same playing fields, same environment and they begin to adopt Singaporean habits in the ways of living and thinking. So I’m quite sure they’d become like us. Well, because we’re shrinking in our population, our fertility ratio is about 1.29. Q: “Thank you so much.